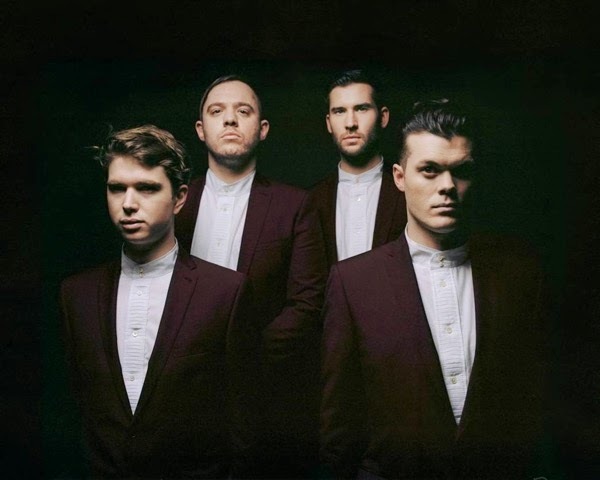 Following on from their rapturous return single, Distant Past, Everything Everything are back once more with another delectable offering from their forthcoming new album 'Get To Heaven'. Premiering on Annie Mac’s Radio 1 show as her Hottest Record last night, Regret serves up some scintillating guitar work set amongst Jonathan Higgs's almost falsetto vocals and the bands indigenous intellect. Once more their accomplished lyricism takes us to worlds we could only imagine once before, all bundled in to an undeniably catchy 3 minute pop song. Stream it below, with a a full list of their forthcoming tour dates underneath. Everything Everything's new album 'Get To Heaven' will be released 15th June through RCA Records. You can Pre-order the album now and get ‘Regret’ straight away from iTunes here.